We love hearing cries for iPad apps from unexpected places. 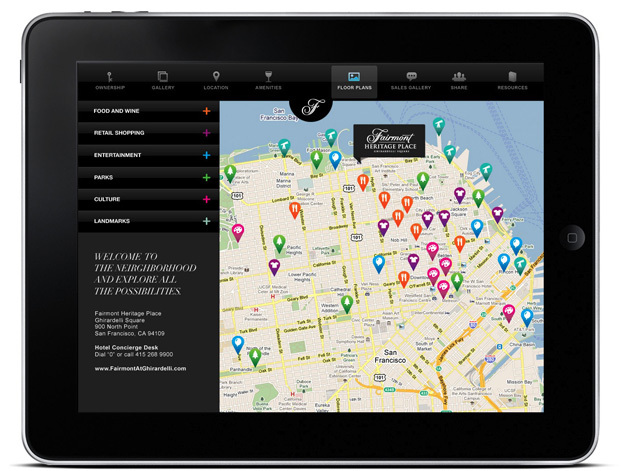 Fairmont inquired about the possibility of providing guests at their Ghirardelli Square location with an iPad app to help navigate the neighborhood and more importantly, learn about the Private Residence Club. 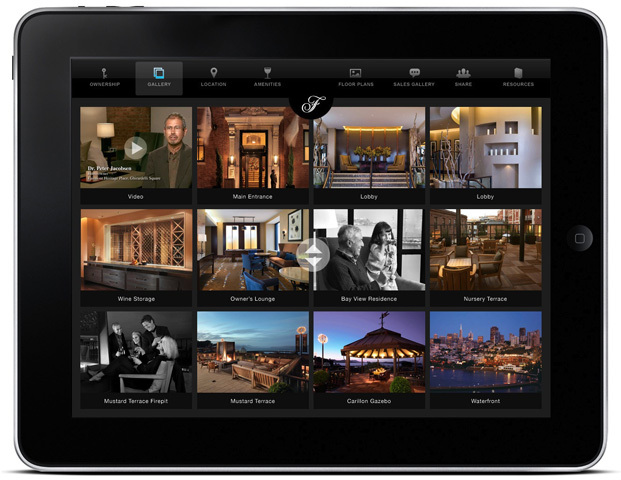 How many apps enable you to find a second home or find dinner? 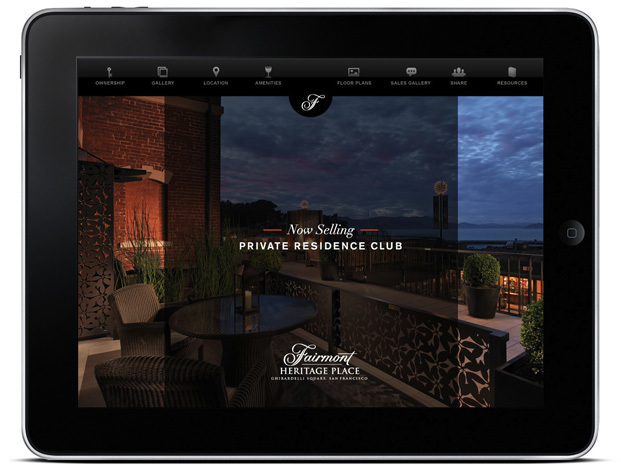 The iPad app was designed as a tool that would provide hotel guests with lots of choices – from viewing videos, amenity galleries and interactive floor plans, to perusing curated content for food and wine, shopping, parks, entertainment and culture. Integration with Google Maps made it easy to access up to date information on all the destinations. If users are interested in fractional ownership, they may also choose the type of contact they prefer – make an appointment with a sales agent, ask a question, or just email information to a friend. It can all be done while lying in a plush hotel bed. Not a bad idea.